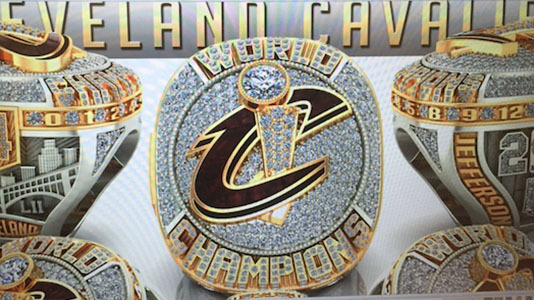 On our blog today, we're featuring a fantastic video that shows all the work that a company called Baron Rings put into designing and manufacturing the championship rings that were awarded to the 2016 Cleveland Cavaliers. It is inspiring to see a company create something so beautiful. Photo of 2016 Cleveland Cavaliers Championship Rings, Courtesy of Richard Jefferson on Snapchat. Although many class rings manufactured in the last decade are often only thinly plated with gold, older rings generally contain larger quantities of gold, silver and platinum that are well worth recycling. Better yet for investors, class rings have been manufactured in very large quantities over the years and are easy to find. They are listed on eBay, and often available in antique stores, pawnshops, and other outlets that are probably already on your radar if you hunt for precious metals. Fortunately, all class rings prominently display the year when they were made. (Simply look for the graduating year of the class for which they were manufactured.) Then check for any stampings inside that give information on a gold karat rating, whether the ring was plated, etc. In the video above from Baron Rings, you will notice that a lot of gold is literally flying around. The bodies of the rings being manufactured are made of silver or possibly some base metal that is then gold-plated. They are then drilled, routed, heated and cooled, and polished. Small quantities of gold are released in the form of powder or grindings from those operations. I would imagine that a state-of-the-art manufacturer like Baron Rings takes pains to recover any gold that comes from those operations. Yet other ring manufacturers – especially in years past – have been less scrupulous about recouping all the minute quantities of gold that are released from polishing and other processes. If you have the opportunity to acquire gold dust, bench sweepings, old polishing wheels and even rags from companies where rings were made, they contain gold that can be reclaimed. And another thing. When class and other gold rings are resized, small quantities of gold are often made available. When a ring is made smaller, a chunk of metal is cut from the ring; then the ring is squeezed shut and soldered back together. And when a ring is made larger, the ring is cut, the ring is stretched open, a small piece of metal is inserted and soldered into the opening that was created, and the “patch” is then ground and polished. All those operations release small quantities of gold. So jewelry shops that repaired jewelry are almost always sources of small quantities of gold scrap that can be recycled by a qualified precious metals recycler like Specialty Metals. Back in 2014, thieves broke into a display case in the Yogi Berra Museum in Montclair, NJ, and stole 10 World Series rings that had been awarded to Berra over his unequalled career. That was a horrible and disrespectful crime, to say the least. At the time, each ring was valued in the range of $150,000-$250,000, for both their metallic and collectible value. But if you find any other class or collectible rings, don’t call the police. Call us at 800-426-2344 and talk to our precious metals consultants. We will be happy to test them, tell you their metallic content and value, and issue prompt payment if you choose to have us recycle them for you in our modern facilities.